Building assessments provide important, sometimes critical, information to those considering purchasing, selling or having work done on their property. Unbiased information is provided on not only what needs to be done, but also on estimated costs, thus positioning an owner to speak knowledgeably to their contractor. In addition, a building assessment done by Bedard Preservation can help a home owner prioritize projects or determine what a homeowner could do themselves. Building assessments cost from $300 to $700, depending on your location. 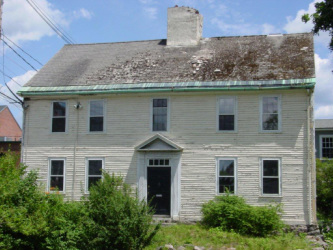 Bedard Preservation specializes in the restoration of old buildings. Experience, knowledge and manpower enable the company to transform unrestored properties into modern living space without losing any of the character or charm of the original structure. Using an antique "post and beam" frame as the base for a "new structure" is an important form of historic preservation. Bedard Preservation has reconstructed buildings into homes, museums, a bank, a library and barns. Replacing a sill, repositioning an old barn onto a new foundation or fitting a "laundry area" into a guest room, Bedard Preservation is available to work with clients on the repair and renovations needs of their homes, barns and outbuildings. Bedard Preservation can provide full project development and oversight beginning at site planning through to project completion. The company specializes in implementing the latest technology to enable owners to have efficient and cost effective buildings. 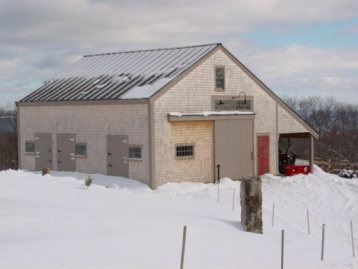 For example, using an in-floor radiant system to heat a commercially used renovated 200 year old, three story, 40 x 80 "barn" cost only $1,800 for fuel in 2011. Unfortunately, old post and beam buildings sometimes need to be moved or removed from their current locations. Cataloguing a building through numbering, documenting, photographing and videoing ensures the structural history is preserved in order for the building to be used elsewhere. We began producing Windsor chairs in 1981. Our chairs are handcrafted using the same procedures and locally grown woods as were utilized by 18th century chair makers. They are authentic to their period in every detail. Because of attention to line, form and technique, the only difference between our chairs and the 18th century Windsors is the date in which they were made. For more information on our Windsor Chairs please visit our website www.bedardwindsorchairs.com.